After some wavering back and forth on land, once our numbers grew to six we decided to test the light drizzle and the faint zephyrs from the south. By the time we had rigged and pushed our boats into the water the wind strength and lessened and some of us watched the first to launch struggle to hold ground against the ebbing tide (the water was quite high, even for high tide). For race one the faint wind and swung more north/northeast and the leaders did well to stay in the shallows as much as possible. I was solidly in the back (holding my position several yards above the start line) when I noticed smoke from stacks on the eastern shoreline pointing towards me. I adjusted my sail for a starboard reach and waited. There didn’t seem to be much evidence of the wind, but I slowly crept towards the front of the pack. After roughly 30 minutes, I finally rounded the windward leg and the easterly, though light, began to establish itself. With the ever so slightly increasing wind, came an increasing rain and chill. We all voted to test our limits saying “just one more,” until we found ourselves concluding a third race and ready to call it a day. The outcome of the remaining races seemed to largely dependent on the start, some boat speed, and staying on the east side of the course. Today turned out to be a nice and much needed day on the water. After all the cold weather and lack of wind, we decided to wait and see what happened. We decided after a 30 minute postponement to try and go out and hope the forecast proved to be true. Frank setup a course for us in the cove using the channel markers and a start line. We ended up doing several short windward leeward races and with each race, the breeze improved more and more. The rain stayed very light and the temps were very nice for a January day. Today the sailing was tough as the wind was pretty light . As usual, with the short duration of the races, the starts were pretty important. Frank had the boat on the port side of the start line. I almost had an altercation due to the fact that I was thinking about the start and where the boat was over how I was sailing and what tack I was on. Hope to see everyone out next weekend! 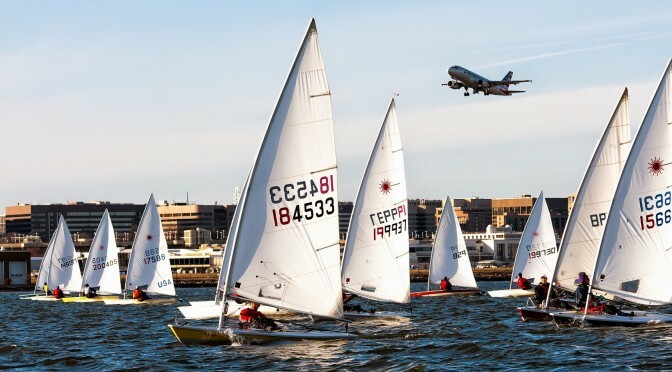 2017-2018 Laser Frostbite Sailing Has Started! Our Laser frostbite season has started! 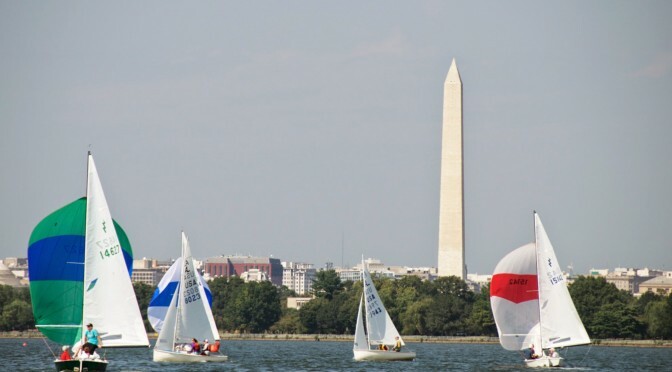 We race on Sundays on the Potomac River from November 18 to March 24, and we wrap up our season with the Capital City Regatta on March 30-31. Skippers meeting is at 12PM with the first start at 12:30PM. No races are started after 3:30PM. Come out and join us! While the fleet welcomes out-of-town guests, we ask in-town skippers to join PRSA (see the membership application). Contact Laser Fleet Captain Tom Hutton with questions. Below are the preliminary (in case I’ve made mistakes) cumulative results for the 2017 Fall Series scored according to the NOR. Think of each day as a race with your standing at the end of the day as your finish in the race. If you did race committee that day, your score is the average of all the days you did sail. If you neither sailed nor did RC, your score is simply a blank. To qualify you need to have sailed or done race committee 4 days (50% of days your fleet sailed). Your score is the average of your best 4 days. A big thanks to Tom Hutton for doing the Sundays scores. Brrr… It was a chilly day. It did not get out of the 40s. AND the sun was not out. Still, there was a nice light breeze, and it was the last chance to sail until April, so we went sailing. The tide was coming in and that light southerly breeze was very shifty but quite sailable. By the third race, the wind almost completely shut down and the RC mercifully shortened course at the 2nd windward mark. Doing well was all about keeping the boat in the groove, not get too excited about tacking on every shift, and making smooth transitions at the marks On Shadowfax, I helmed the first race and Lisa-Marie Lane did the next two. She did just what I mentioned above and got two bullets! Great way to end the season. A big thanks to Jeff Whitten, Bob Harford, Geoff Fuller, and Jim Lane for running the races. Thanks to Tom Hutton for doing the scores.